Last month we alerted you to what we felt was one of the best docks for the iPhone that has yet to be made. The Elevation Dock still looks just as good but it’s now gained the distinction of being Kickstarter’s first project to garner $1M in crowd-sourced funding. 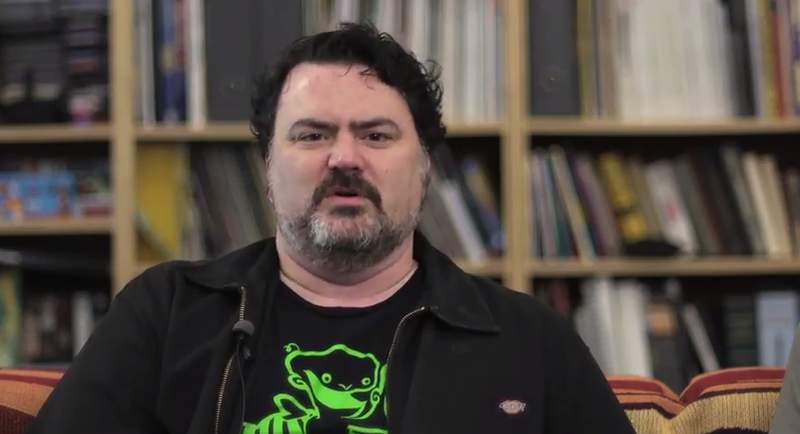 But shortly after that benchmark was reached, Double Fine Adventure, a project from Double Fine studios, the company started by the legendary Tim Schafer, swept in and over took the dock in less than 24 hours. It’s been a miraculous story since then, as the project continues reaching above and beyond what the creators ever anticipated. The original funding goal was a modest $400,000, but now the team has officially reached an incredible $3 million for their game and accompanying documentary. If you’re unfamiliar with Schafer, he’s the guy behind Grim Fandango, Maniac Mansion, Day of the Tentacle and Full Throttle, some of the most loved adventure games of all time. Double Fine studios has produced even more awesome stuff like Psychonauts, Brutal Legend, Costume Quest, Stacking and its newest Kinect adventure Double Fine Happy Action Theater. Schafer is joined by his partner. legendary game designer Ron Gilbert, the creator of the SCUMM scripting language that was used in tons of classic LucasArts games like Monkey Island. It blew our minds when the project first reached $1m, so seeing it shatter previous records shows just how important the project is to gamers. As for the bigger picture, Kickstarter is truly leaving a massive footprint in the history of independent creation. Empowering anyone to make something amazing is one of the most powerful things I’ve seen a startup do, and projects like Double Fine Adventure show just how far these projects can go.